This week, TimTheEnchant3r shares his Arbalist build in order to burst down enemies in a GvG match. Arbalist is a special build will pierce the morale and the hearts of its enemies in a GvG. 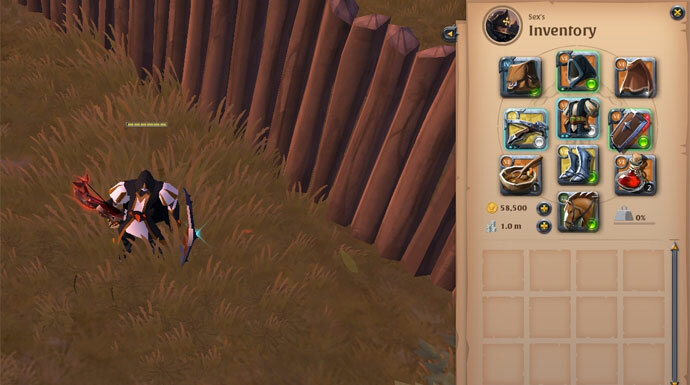 The build of Tim's Arbalist utilizes a deadly burst combo that can be mixed in with good sustained damage while adding enough utility to be able to react accordingly to your current situation. According to Tim, the Arbalist offers you a kit of abilities that allow you to quickly burst down a key target, pressure your opponent's backline, and to escape/survive incoming focus fire on yourself. 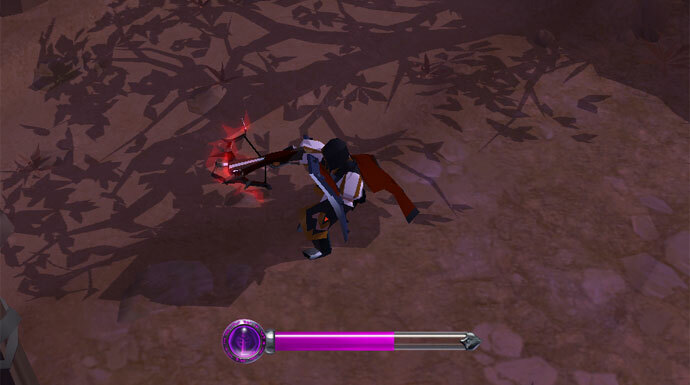 Once your enemies know about your burst damage, you can draw out their defensive abilities with ease. This will give your team an advantage and will allow you to take them out one after another. However, this build is a general lack of mobility and chasing potential, as all of your damaging abilities are either channeled or have a cast time. Positioning and timing are the two key factors that decide the outcome of the battle. The Light Crossbow is a great weapon with a high burst potential in general. However, using the skills requires a lot of training and general awareness of the battlefield. Exactly knowing when to use your Auto Fire is the first thing you need to learn if you want to use this build efficiently, as it will render you stationary and vulnerable. Auto Fire - A channeled attack which deals physical damage. The correct usage of your Auto Fire will decide if you survive while your target dies. The most important thing to look for is everybody’s positioning and predict their next move, similar to playing a game of chess. While you are able to cancel Auto Fire at any given time, you are immobile as long as you deal damage. Another way to use your Auto Fire is to force your enemies to reposition or to block off a certain area from them. The moment an enemy enters your Auto Fire range, you start attacking them leaving them with two options: Take the damage or move back. Noise Eraser (Skill shot) - Cast a bolt in any direction. Your Noise Eraser is an excellent way to engage your enemies. On hit, it silences an enemy and deals damage. Your Noise Eraser is a game changer, if you are able to land it you can instantly stop your opponents’ engagement or secure a kill for your team. Remember that until you unlock Noise Eraser use Sunder Shot. Thanks to the huge range it can be used to peel your enemies from afar and the silence also allows you to render your enemies’ team utility useless, for example by silencing their support. As Noise Eraser is not only a skill shot but also has a cast time it requires some training to hit your targets, but once you are able to land it, it will be a devastating weapon in combat. Exploding Shot - Fires an exploding shot that deals physical damage and places a bomb on the target. After a few seconds, the bomb will explode, dealing damage to all enemies in a 5 meter radius around the detonation. While the initial damage isn’t that high, the delayed damage of the bomb you apply with it can easily catch a healer off guard. If you time your follow-up correctly you are able to snipe down your target before the enemies’ healer is able to react. To increase your burst it is recommended to combine your forces with an Arcane Staff player. Passive: Furious - Every 5 activated spells, all your damage is increased by 10% for 4 seconds. Offhand: Sarcophagus Shield - Due to this build’s lack of mobility, you will find yourself quite often under attack. The Sarcophagus Shield adds the highest damage mitigation you can get in an offhand. This mitigation will save your life countless of times! Ice Block - Channeled ability, which instantly makes you immobile and invulnerable to damage for the duration of the spell. Ice Block can be used in a lot of different situations. Most of the time you will find yourself using your Ice Block when something went wrong, e.g. your engage was countered or you're suddenly surrounded by enemies. Yet, there are also situations when you can use this ability to bait out your enemies skills, by for example faking a misplay that puts you out of position. Variant: If your team is supported by a Holy Staff you can use the Guardian Helmet with Stone Skin and Passive: Toughness as well. This will offer you more mobility for engages or disengages as a tradeoff for the invulnerability. Chest: Mage Robe - The Mage Robe itself is a huge boost to your damage and is essential to burst down a key target. Frost Shield - Increases your Armor and Magic Resist for a few seconds. Enemies that attack you are slowed. A percent of the incoming damage (before Armor/Magic Resist) is reflected back to its source. 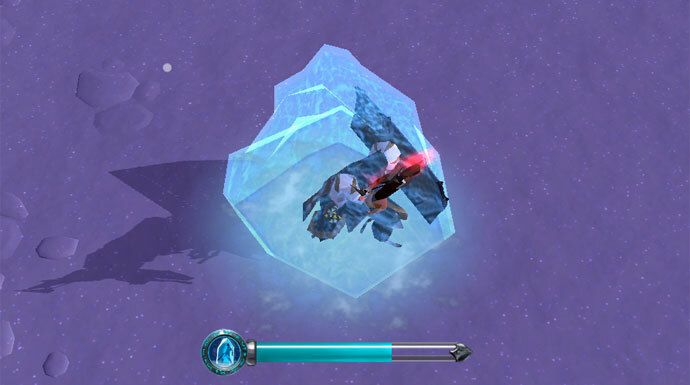 Frost Shield, on the other hand, is a great defensive ability that allows you to escape an enemy’s engage or to use their own damage against them. Rejuvenating Sprint - Increases your move speed by 100% and heals you over the duration of 3 seconds. The Rejuvenating Sprint is a potent gap closer and a great disengage. The heal will allow you to stay alive just a moment longer before your healer is back in range. Passive: Toughness - Decreases the damage your receive. Variant: Another option for your boots are the Royal Shoes with Evasive Jump and Constitution. As Evasive Jump makes you immune to incoming damage instead of healing you, you have to be more aware of the right moment to use it. Its main advantage is that you are able to bait out your enemies' skills with as well. Stew - Increases your overall damage. The Stew increases your overall burst potential. Major Healing Potion - Regenerates a percentage of your total health over time. The Healing Potion is used to keep you alive. 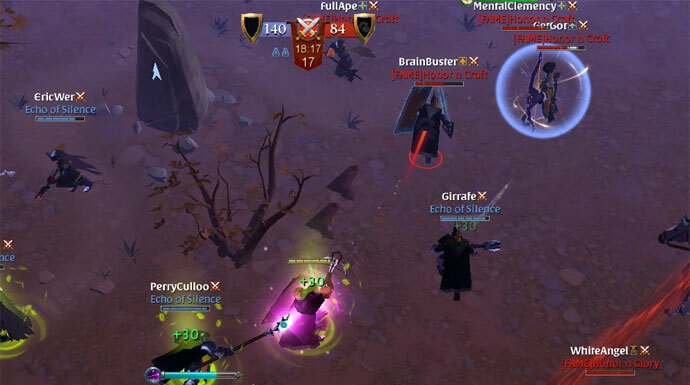 As Albion Online offers a countless amount of possible builds, the building of Arbalist will achieve a specific goal and to be as deadly as possible in a GvG.